This calendar can only be purchased at one of Jeff's events, or from the PayPal link on this page. 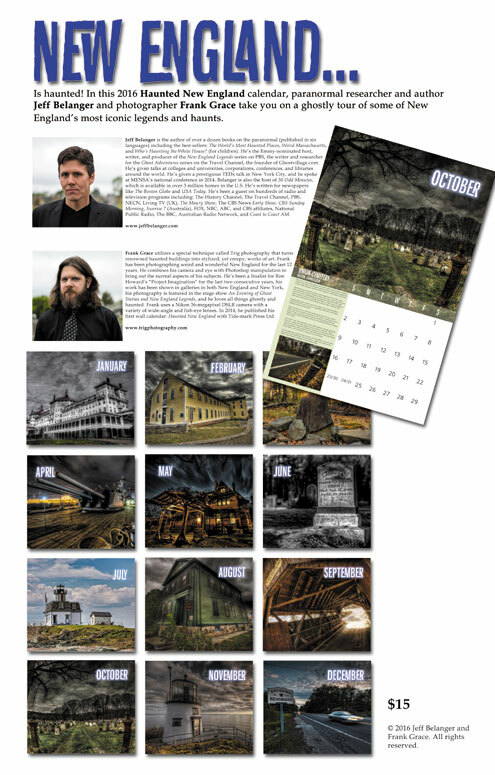 The 2019 Haunted New England calendar is on sale now! This calendar is haunted! It’s no surprise with so much history, so many storied buildings, and all of those notable... and sometimes notorious characters, that New England has more than its share of supernatural accounts. 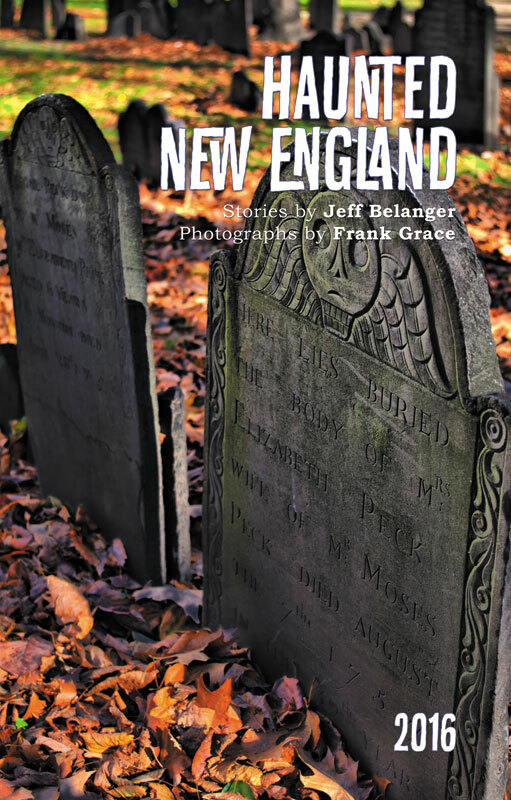 The Haunted New England Calendar will take you on a year-long journey to some of the most noteworthy and iconic haunts in the region. Each month features the history and ghostly legends paired with the eerie and powerful photography of Frank Grace. This year's calendar is a limited edition. We have produced only 300. When they're gone, they're gone! Ghosts are NOT just for October anymore! December 5, 2016 Update: The 2016 calendar is now SOULED OUT. We will do this again next year, but please note they are always limited editions. Please note: we can only ship domestically in the United States. For international orders, or quantities more than one, please contact us.